Wordle is an online tool that creates “word clouds” out of text. Basically, you feed it some text and it generates an image of jumbled up words, with the size of each word determined by how frequently it is repeated. One way to think about it is, Wordle gives you a rough idea of how a search engine spider sees your page. This may be helpful in your SEO efforts. 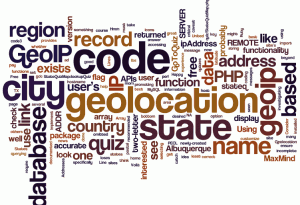 Instantly, the main theme of the post jumps out, with words such as “geolocation”, “city”, “code” and “GeoIP” featuring prominently. 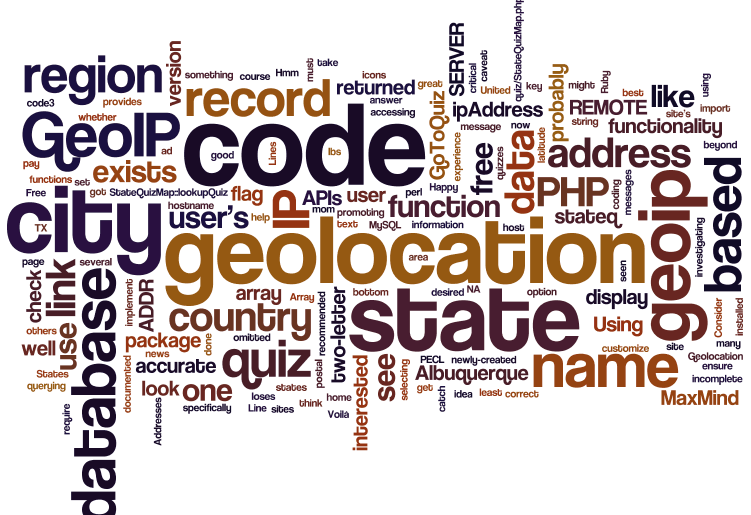 Then you also see secondary words, such as “region”, “PHP”, and “database”, adding additional context. In SEO terms, the larger words are your keywords. 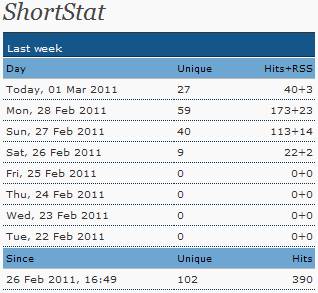 The font size represents your keyword density.